Update: Tonight four hour Andy Warhol documentary starts on PBS. Coming in September as part of the American Masters series. Check your local listings for day and time. The two-part, four-hour documentary is directed by Ric Burns. 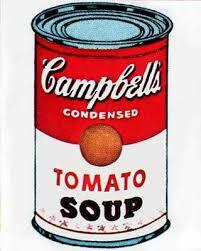 The film is narrated by artist and musician Laurie Anderson and features artist Jeff Koons as the voice of Andy Warhol.